The 30th Brecon Freedom Parade was held on Sun 02 Aug 15. The historical accounts suggest that the Gurkhas first came to serve in Brecon in 1974. However, it was not until 12 Dec 1980 that a Company with a total strength of 85 formed up, to be known as a Gurkha Demonstration Company (GDC) under the old NCO’s Tactical Wing. 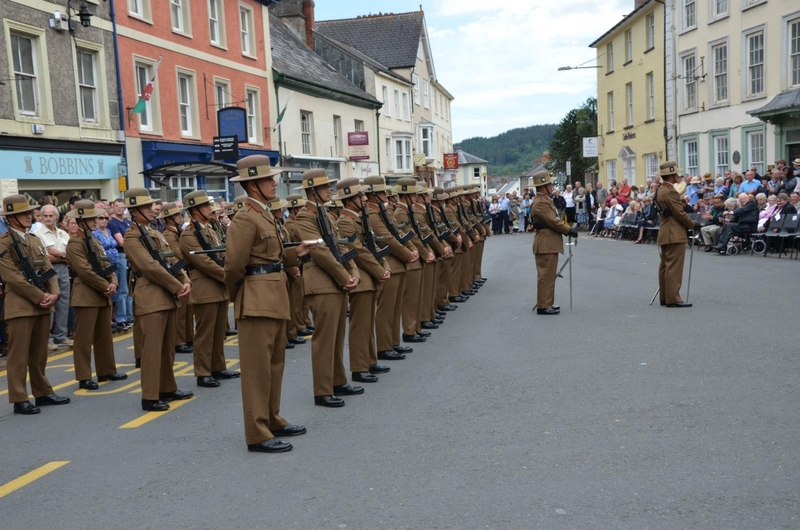 Ever since the arrival of Gurkhas in Brecon, they have played an important role in the local community and have become an integral part of the society. In recognition of their service to the community the Town Council of Brecon awarded the GDC Honorary Citizenship of Brecon to the Company on 21 Nov 1985. To mark the occasion, the first parade known as the Brecon Freedom Parade was held on 03 May 1986, and the tradition has continued ever since. The Company was re-titled as a Gurkha Company (Mandalay) on Sep 2004. On 09 Jan 2014, the Company was reduced in size to 40 Gurkhas with additional 20 across the Training Support Division and was renamed as Gurkha Wing (Mandalay). However, due to the added responsibilities the current strength has increased to 67 Gurkhas personnel in total. ‘2015 Brecon Freedom Parade’ was selected to mark G200 in Wales.